Tomy will release the following figures in January to March 2009. As for Cresselia, it is prior release in Platinum figures set. Indivual release will be in April probably December 2008. Coming soon illuminations will be decorating at the entrance of the house, store and park etc. Japanese car parts/illuminations products company Nanakou releases 3D Pokemon Illuminations. Pikachu, Turtwig, Chimchar and Piplup are available. Detailed specification is shown as below. Both of them has controller (prgrammable 8 pattern), power cable 5 m.
Using Diffusion lens. Usable inside/outside. Just small topics about the game. Pokemon JP site updates Rotom five formes of Platinum game officially. GTS Journal (Today's headline news of Pokemon GTS) is published daily at Pokemon-gts.net from 2 September. It is readable with 10 languages. For subscribing to AAPF posts , the followings are changed/updated. On blog right menu (for PC users only), these linkages are added. 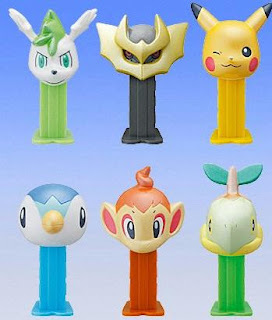 Bandai will release mini PEZ DP Platinum color version in the end of Novermber. Gashapon toys. Photos are uploading/repleaced in the following previous TomyMC article. Photo of Yujin Zukan (Pokedex 3D) DP09 is uploaded. Pokemon center Yokohama is renewal opened on 10 October. For renewal opening, Pokemon JP releases the following plush, it is available at only Yokohama. AAPF tried to create google map and marking that movie produce team visited to Greece in August based on Pokemon screenwriters Hideki SONODA's blog info. Visiting route was Athens , Delphi, Kalambaka, Meteora, Ioannina, Vitsa village and The Vikos Gorge in Zagori. (moving to the north). Detailed is shown here. In the map, panorama view of Meteora Monasteries etc are linked. Also please see the map with google earth If possibe. Pokemon 3D Adventure : Find Mew ! Yujin will release Stick Mascot 2 in the middle of January 2009. Size is 3cm, gachopon toys. Will upload the photo later. 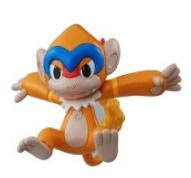 As for previous item, please refer to Pokemon Stick Mascot 1 (Yujin). New opening and ending songs for Pokemon DP animation are on aired at DP 96/97 episode on 2 October. The music CD (includes Together 2008 as bonus) will be released on 26 November. Just for Plush fans info. If interesting, please check Toys Shop Dream. Store does not ship to oversea, please use middle-man-service. Mainichi JP News site reports that Pokemon game Platinum sold 1.43 million (number of package) in 3 weeks since game released 13 September according to EnterBrain (Famitsu) research. As for weekly game sales ranking in last week, Super Robot Wars Z from BandaiNamco for PS2 was top, Platinum was second. Bandai will release the following 10 figures in the beginning of January 2009. All 10 figures have platinum color version. Will upload the photo later. Frost and Heat Rotom will be released in December 2008 (Platinum World 03) probably. Nintendo announces new DS model 'Nintendo DSi' at Nintendo Conference 2008 Tokyo today. It will be released on 1 November 2008 in Japan. In North America, Europe and Austlaia, it will come in 2009. Model color : black and white. If interesting, please check the following PlayAsia links. Stock will be available soon. Bandai will release Pokemon Christmas cake 2008, includes Pikachu and Shaymin sky forme figures (ornament) and Piplup watch. Diameter : 15cm. Pre-order will be started from in the middle of October to December in Japan. The photo of Banpresto's plush in October (Christmas version) is replaced, added Shaymin sky forme, please refer to previous Pokemon Plush in Sep Oct Nov.